Who doesn't love receiving flowers? I buy them weekly to keep around my house because they just lift my mood. But I always find it difficult when I want to send flowers to someone farther away and I can't find any unique options. 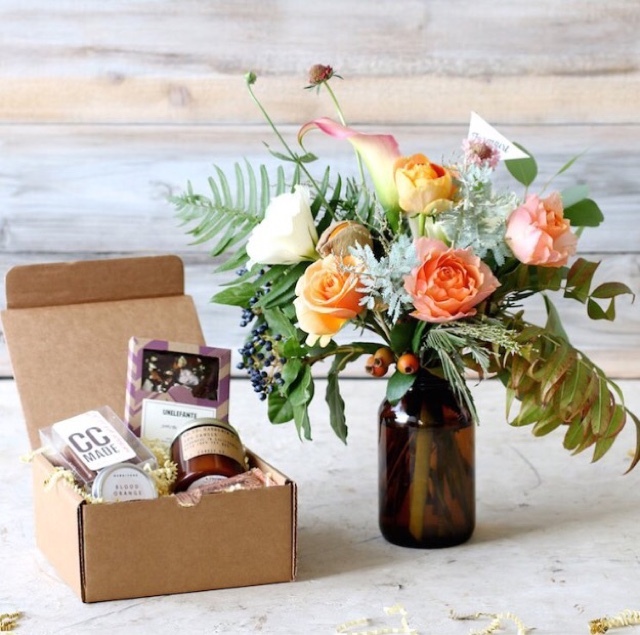 Well, worry no more because I just discovered the prettiest flower delivery service. Farmgirl Flowers! Not only do they create amazing floral arrangements but they are helping our country by providing local farmers and businesses. Their trademark burlap they use to wrap the bouquets are upcycled local coffee bags. How earth friendly amazing is that?! 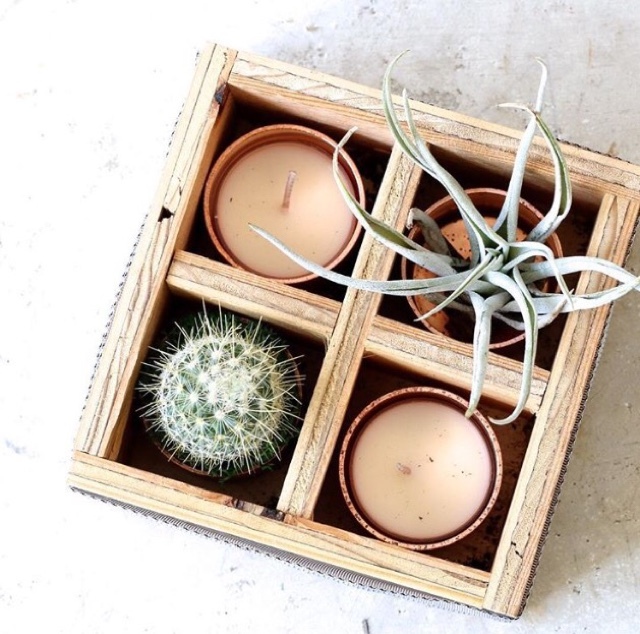 They offer bouquets and adorable gift boxes as well. 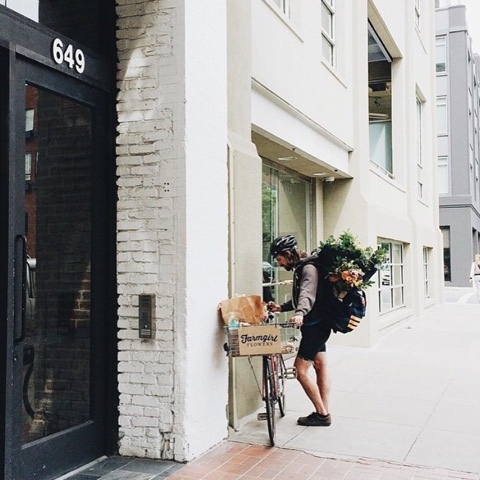 If you live locally (San Fran) you can get them delivered by one of these super cool delivery ppl. If you're not in the San Fran area they now offer shipping. How gorg are these for a holiday centerpiece? They even have these great gift boxes. 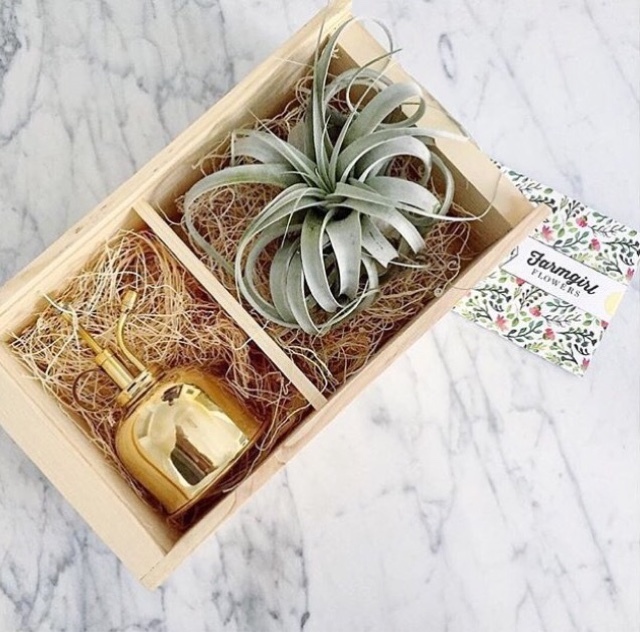 I know who I'd sent this air plant to! Any birthdays coming up? 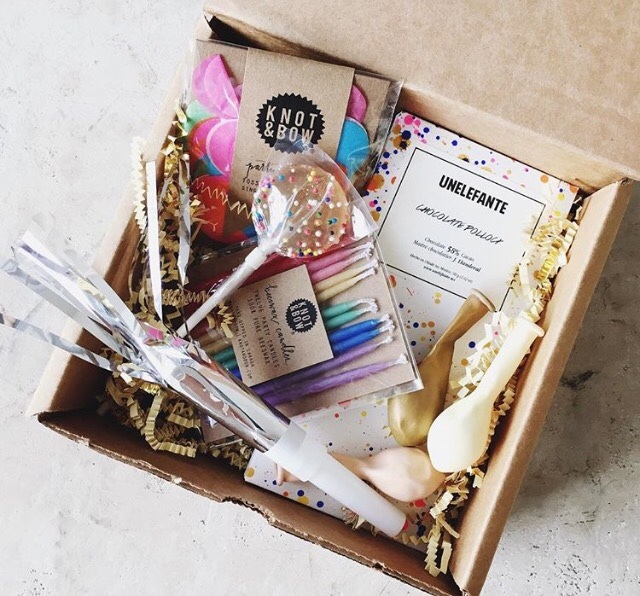 How fun is this birthday box?! And this centerpiece is stunning for the holidays! 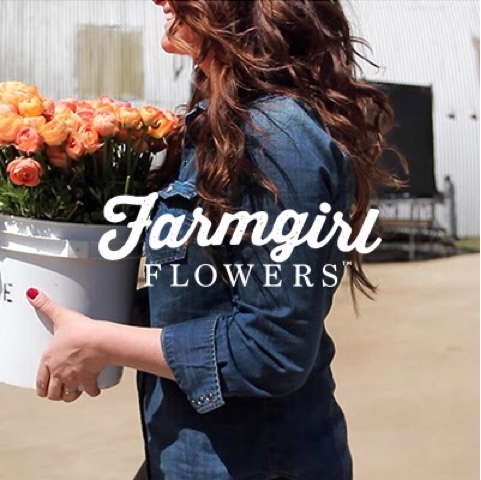 You can see even more of their work on Instagram @farmgirlflowers and follow them on Facebook. Pleased to know about your services. I am in search of a good florist who can provide Same Day Flower Delivery NYC for sending flower bouquets to my friend as he had helped me in lot of things while shifting. Everything perfect! Thanks so much for sharing detail! I would like to suggest you one more online flower delivery in Singapore which provide 24 hr flower delivery services. I like all the flowers and I want this type of flower bouquet also and the last one is more attractive, flower is also a nice gift for everyone and you can try Flower Shop Online for the purchasing any type of beautiful flower. Thank you for sharing the information about flower delivery service. 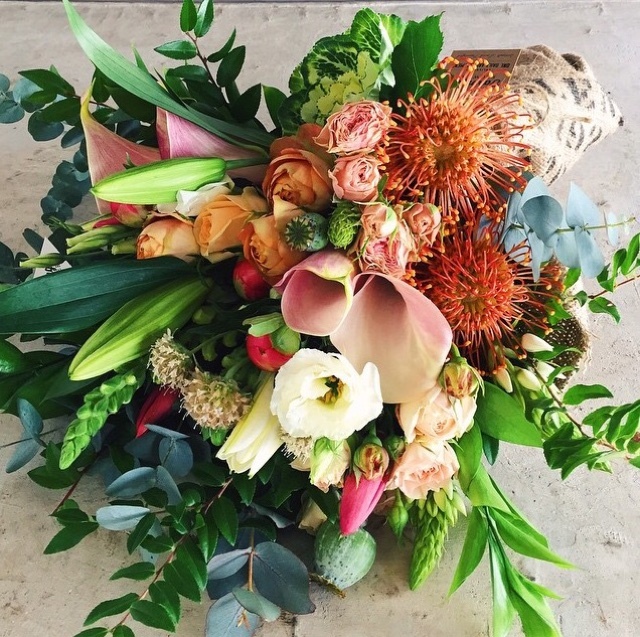 If you are looking for Online Flower Delivery Philippines then we can help you by offering ultimate collection of fresh flowers as per your requirement. 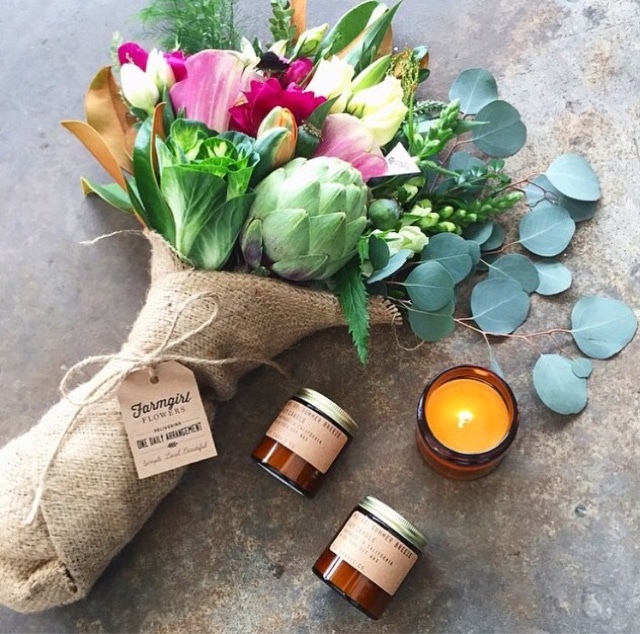 Fresh flowers have always been a well-loved choice of gift and it is now possible to send Fresh Flowers Online in Melbourne at affordable price for various occasions. 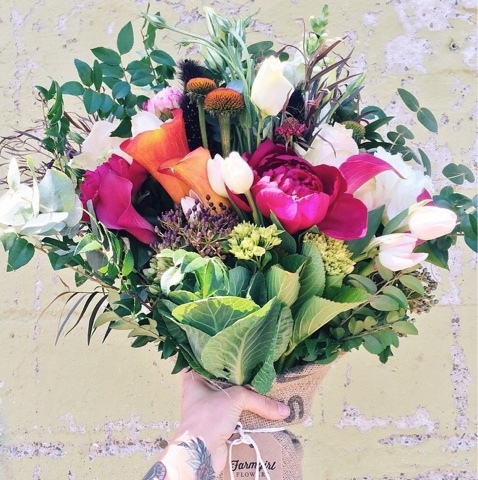 Sending flowers is the best way to show affection or love to someone. If you are looking to Send Gifts to Philippines Online, then Sendgiftsphilippines.com is the best online shop. Without the nearness of flowers, any event will be deficient. Christmas is the same. It is such an excitedly anticipated event, to the point that the nonappearance of an alluring gathering of flowers can take away all the appeal from the day. Splendid and lively flowers makes every such minute in our life delight exemplified and critical. 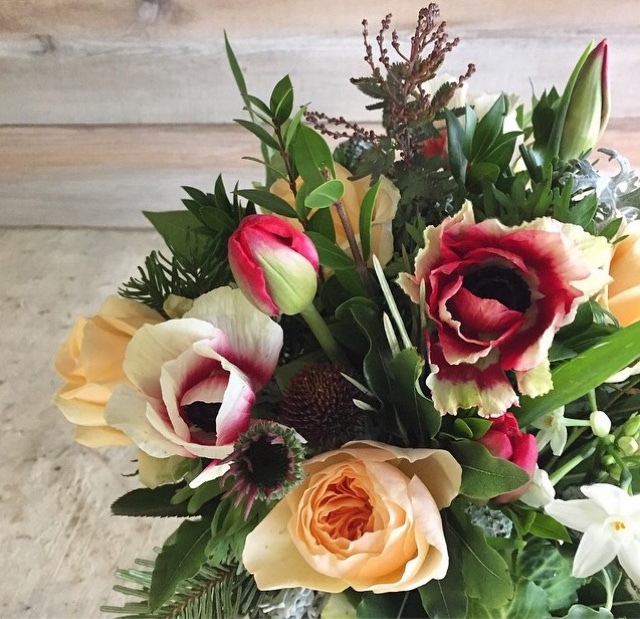 You can discover an assortment of Christmas flowers delivery that are prominent gifts or utilized for enrichment upon the arrival of Christmas. 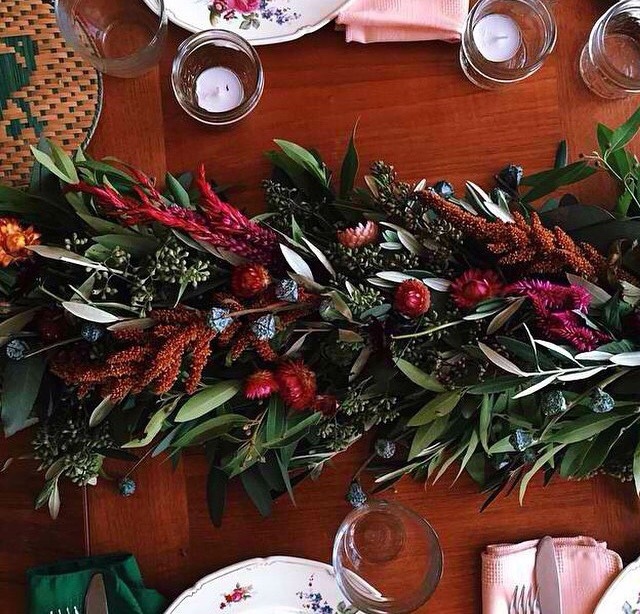 Thanksgiving flowers are a great approach to light up your lounge area amid your Thanksgiving occasion supper. Every year, we praise the magnificent abundance of the fall reap with our family and companions. In the United States, Thanksgiving Day is praised on the fourth Thursday in November. In Canada, send flowers on thanksgiving is honored on the second Monday in October. On the off chance that you might want to send Valentine flowers to somebody you will need to submit your request a few days before Valentine's Day. When you do this you will have a decent choice and ensure that the flowers can be conveyed by Valentine's Day through flower delivery service for valentine day. Celebrate your all occasions with flowers delivery. Send flowers online for all occasion and make your loved one’s day special! dubai florist flower delivery dubai has never been so easy. Our service is open 7 days a week and you can also order online on the flowerstodubai.com website 24/7.